I seem that I can never escape from the fantasy genre of anime. Every time I thought I was out, they pull me back in with its grand epic storytelling, sorcery magic spells, and awesome sword fights. It’s like you if put in The Hobbit and Lord of the Rings movies, with Game of Thrones, and pour cotton candy colors into a pot you’ll get a ton of anime series. Such as with Tales of Zestiria the X which is part of “the tales of” video game series. Sorey has grown up with the seraphim, who are spiritual beings that humans cannot see and hopes that one day they can able to coexist with humans, as they used to many years ago. He visits the capital, for his first time and gets involved in an incident. 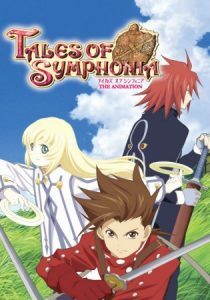 At which, he stumbles upon a sword in the stone, then Sorey pulls it out and becomes the Shepherd, one who fights those of whom challenge peace. We begin this list with a show that seems to take place in modern day. 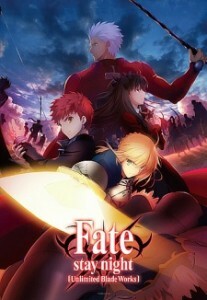 A battle royale known as the Holy Grail War, where magic users fight in which they get the ultimate prize which is the Holy Grail. Emiya Shirou accidentally joins the competition where he must face all sort of enemies of the likes he hasn’t seen. I will dare to say that this is a masterpiece. 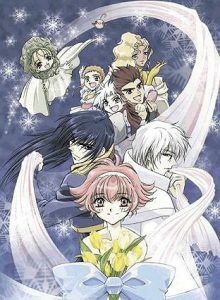 With its top notch art, story, and character, this is without a doubt one of the must watch animes of all time. Next, we have series that deals with exorcism in a different way. There’s a parallel realm to our present day world, but it is filled with monsters. The only way to destroy them are the exorcists, protectors and the ones who can purify them. 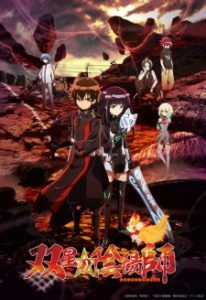 Enter both Rokuro Enmado and Benio Adashino who have given the title as “Twin Star Exorcists,” where they pledge to get rid of all of the monsters once and for all. This is a tad bit of a slow burn anime, however, you will be greatly rewarded for your patience, if you stick with it. I guarantee it. 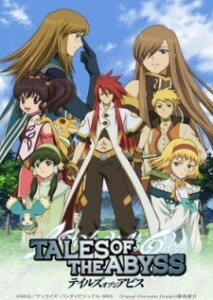 We get another from the “Tales of” franchise. Spending his day’s locked away in a manor, Luke von Fabre crafting, and holding his swordsmanship. One day a woman named Tear tries to assassinate Luke’s master but Luke defends him. As they clash with one and another, they are somehow transported into another land, where now they must team up to journey back home. Whether you’re a fan of the game or not, this is a great show to watch. Now, we have a anime that is a cross between Akame ga Kill! and ERASED. Adlet Mayer called himself the “Strongest Man in the World”, in hopes of becoming one of the “Braves of the Six Flowers” heroes which he does, after winning a fight. Now, he and a princess must find the other five heroes in order to defeat the Demon God. However, when they finally meet the heroes there seem to six, which only mean that one of them is a fraud and Adlet must find out who before it’s too late. This is an edge on your seat anime, that you will probably be glued to you TV to find out what happen next. For many years, there is a chosen one who will restore mana to their dying world. As such, Colette Brunel is the one to do the task with alongside her best friends, Lloyd Irving and Genis Sage. They will meet more friend and face new enemies during their journey. You have one of the great games from the franchises and a great adaptation as well. 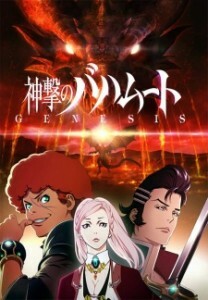 In the land of Mistarcia, Favaro Leone is living a care-free life as a bounty hunter. But there are times where he’s on the run from Kaisar Lidfard, who swear vengeance on Favaro. Although, all that must be put on hold when Amira holds the key to stopping an ancient monster from destroying their land unless they can get to it first. A well paced anime that never hs a dull moment. It is superb, to say the least. 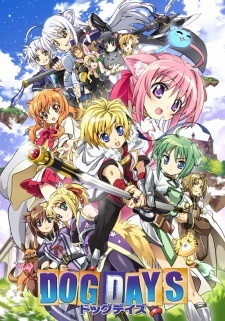 Princess Elizabeth is on the search for the Seven Deadly Sins, so she can ask for their help to take her kingdom back from the Holy Knights. 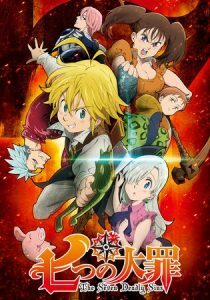 She teams up with a young boy named Meliodas, who happens to be captain of the Seven Deadly Sins, she will find the rest in no time. 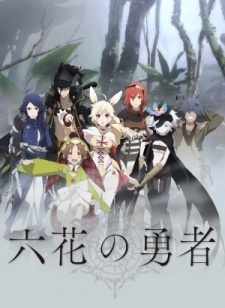 The show is on Netflix, so there is no excuse not to watch this fantastic action-adventure anime. It’s hard enough to be part of a new step-family, but now seven guys are all up on you and saying you have special magical powers. A young 16-year-old girl will find the strength that lies within her, in order to defeat an evil princess, who is bent on world destruction. It’s a fun series that will give you a lot of enjoyment.